me and him: There was this one time when I had a birthday and everything else was upside down so we ate a gigantic breakfast and took a nap. There was this one time when I had a birthday and everything else was upside down so we ate a gigantic breakfast and took a nap. Jason got me two ah-mazing globes (translation: Jason saw me Oooing and Awwing over said globes and said Please get them and it will be for your birthday, since I can't really do anything super birthday fantastic this year, even though I wish so bad I could.—mm hm, that was totally word for word. And well, I couldn't say no to boy with oxygen tube in his nose so I did as I was told because I follow instructions well). 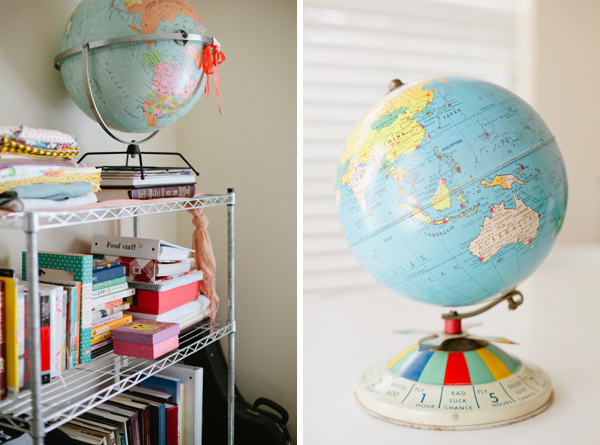 I left the rest of my globe collection in CA, which was super depressing at the time, but once we recieved our things and saw the horrible condition almost everything arrived in I was oh so grateful I left (most of) the best stuff behind. Reason 743 Why I Love My Husband: He gets me the perfect presents for my birthday and other gift giving holidays. Every time (maybe with a little help). Globes, a sweater and a great big kiss on the lips. Success. We celebrated with a big birthday breakfast at Waffle House with Brad and Tami. And I don't know if you know this, but Waffle House by definition means: delicious and ginormous. It was there, on this 24th birthday, that I tried grits for the very first time (they were..... meh). And it was later that night that I tried Chicken n Dumplins and fried okra. I guess this was a Southern-food-firsts kinda birthday. When in Rome. p.s. just looking at that picture gives me indigestion and heart burn. The globes look great. A birthday to remember for sure! hopefully you added butter and sugar to your grits.... makes them more of a breakfast dessert! delish! and i have a birthday on saturday and have yet to think of anything to ask husband for - LOVE the globes!! Yummy Food + hubby getting you what you want = awesome birhtday!! 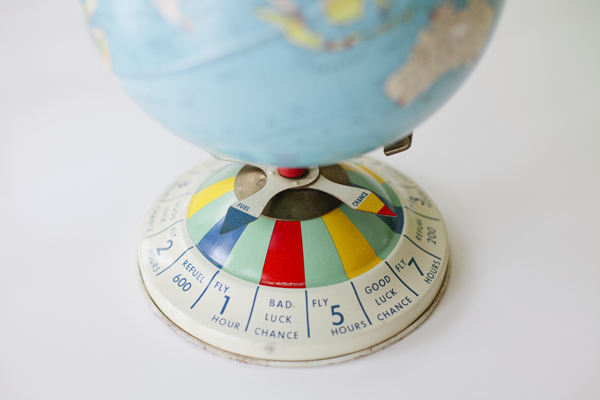 ooooh love the globe with the spinner on the bottom. here's to landing on the 'good luck chance'! So, my name is Lyndel.. nice to meet you! I stumbled across your blog and fell in love with you & your husbands' story and just had to comment on this posting. 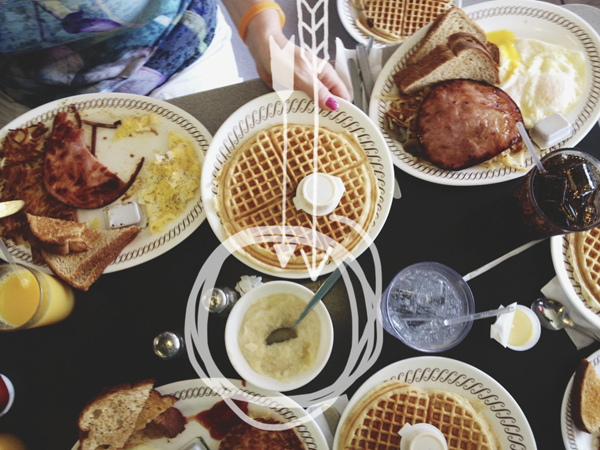 Grits from Waffle House are meh... try grits from The Flying Biscuit and you'll be amazed! I think there are a couple in NC, even one in Raleigh!